I just barely snuck into my target range of 200+ species this year. After an astonishing tie last year, this also feels like the first earned "win" in my annual year list challenge against Dave in England. Not surprisingly, I got trounced again though by my now retired and free to travel a lot more Dad. 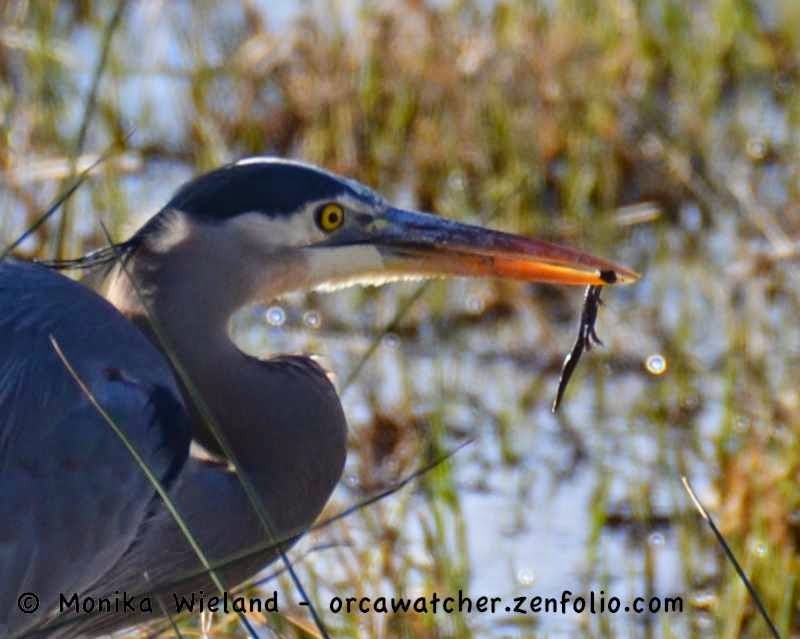 :) The high totals on my list in February and for life birds were boosted by the trip to Southern California and Mexico, with another unusual spike in October when I made it east of the Cascades for my birthday trip. I'm actually surprised that with the Baja trip I didn't end up with even 10 more species than on last year's list. 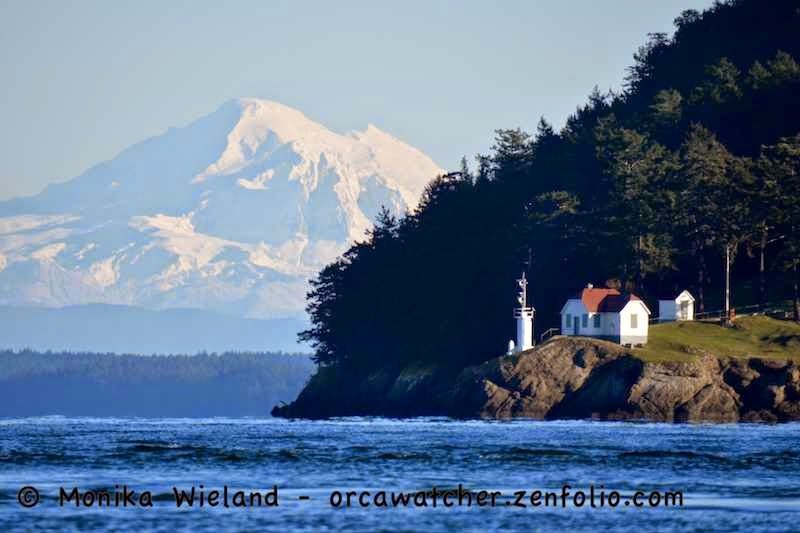 In 2015 the target will be the same 200 species mark, and we'll kick it off for the second year in a row on San Juan Island instead of in Oregon. Surprisingly, the holidays didn't mark the end of my whale-watching for the year. 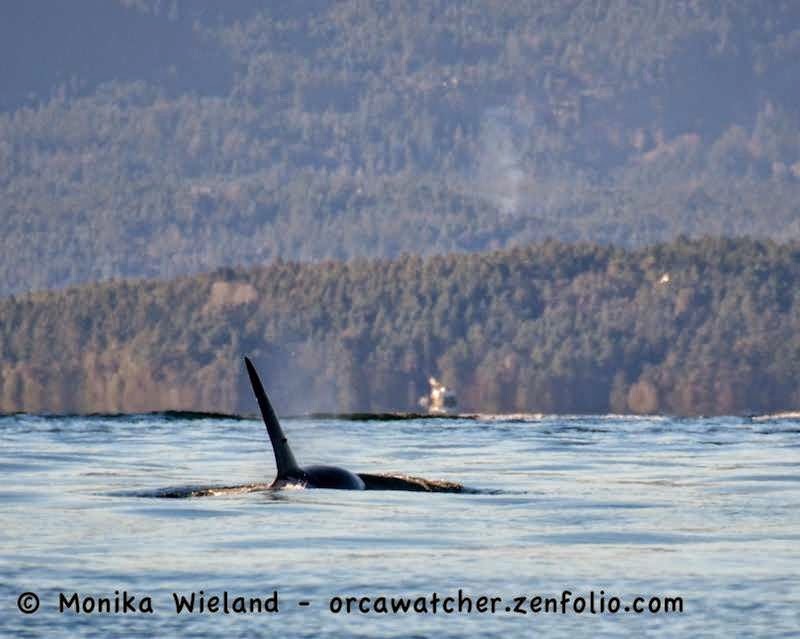 My first full day back on island, December 30, included a visit from J-Pod! My boat is out of the water for the time being, but luckily a friend let me tag along as he headed out to look for the whales. We met up with them off Stuart Island, heading north. The whales were SUPER spread out, with just ones and twos over at least 5+ miles. We were out there for over an hour, and probably saw 6-8 different whales during that time, when all of the 25+ members of J-Pod were out here somewhere. 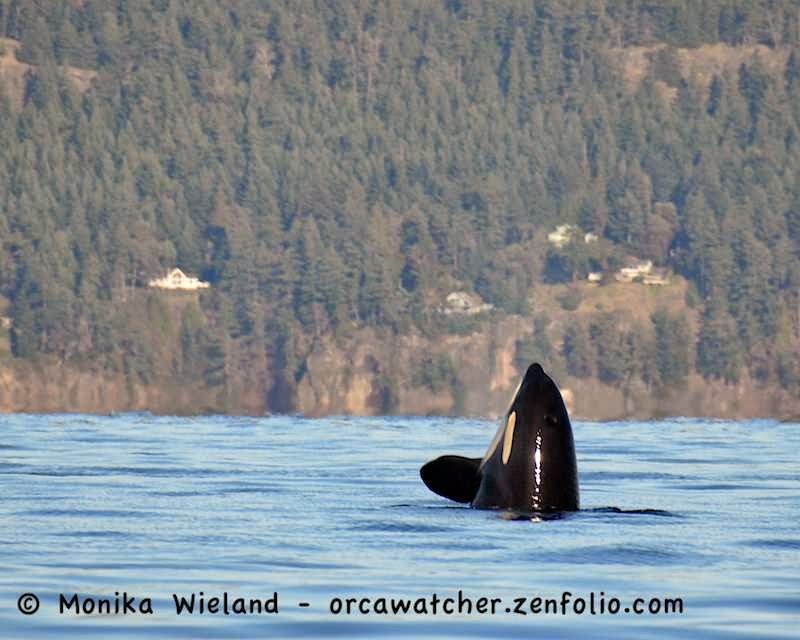 Luckily, one of the whales we got to see was J27 Blackberry, who had been satellite tagged two days prior. 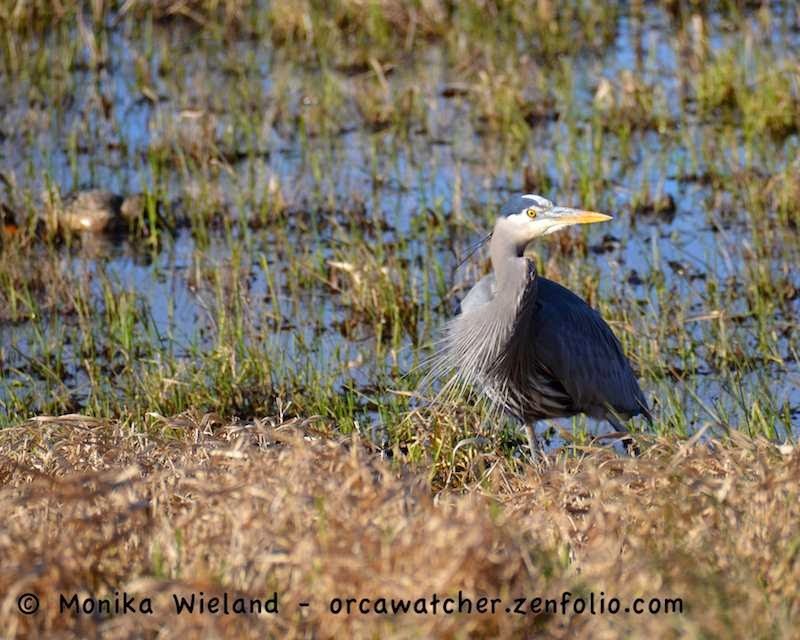 You can read more about the tagging project and follow his latest tracks on NOAA's website here. 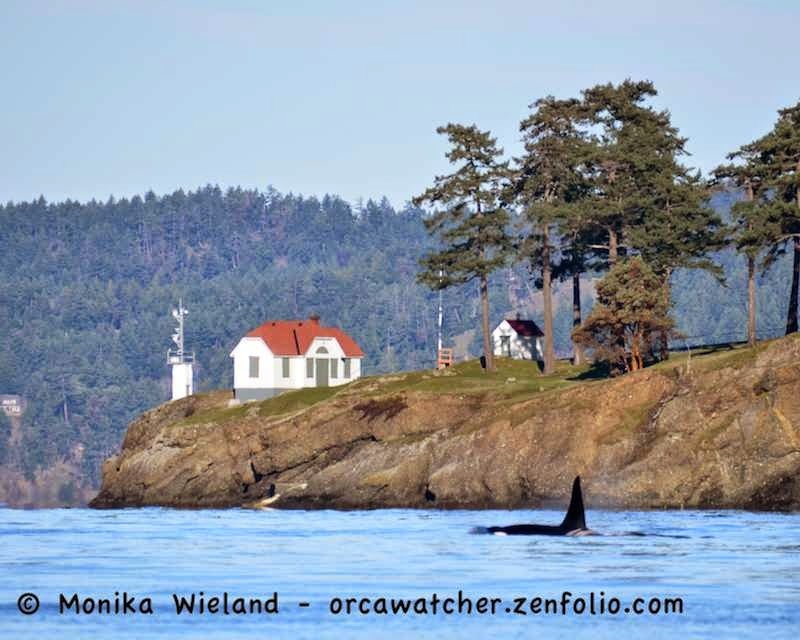 From the tag, we learned that earlier in the day, around 4-5 AM, Blackberry went waaaay up into Eastsound on Orcas Island, very unusual for the residents! 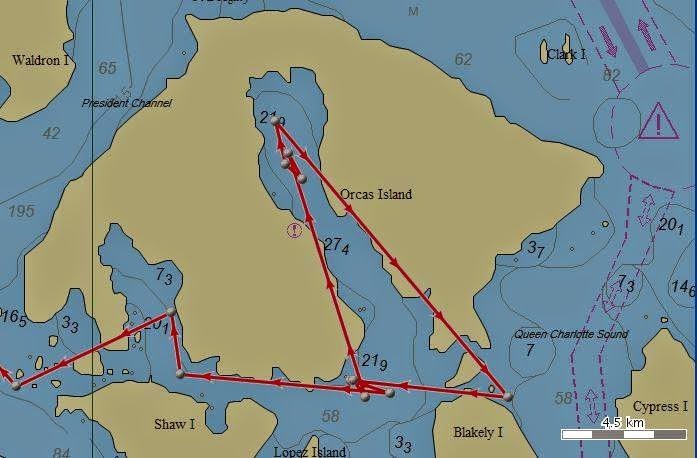 But they've been taking lots of unusual travel patterns lately, as they've been spotted near Orcas Island and in Spieden Channel quite a lot this year. The satellite tagging issue remains a controversial one, but I'm a strong supporter of it in hopes that the data it yields about winter travel patterns of these endangered Southern Residents leads to the increased protections they need. Data from whales tagged in previous years are the driving force behind a current petition to NOAA about expanding the Southern Residents' critical habitat range to include the outer coast from Washington to California. You can read more about why I support tagging on a previous blog post here. 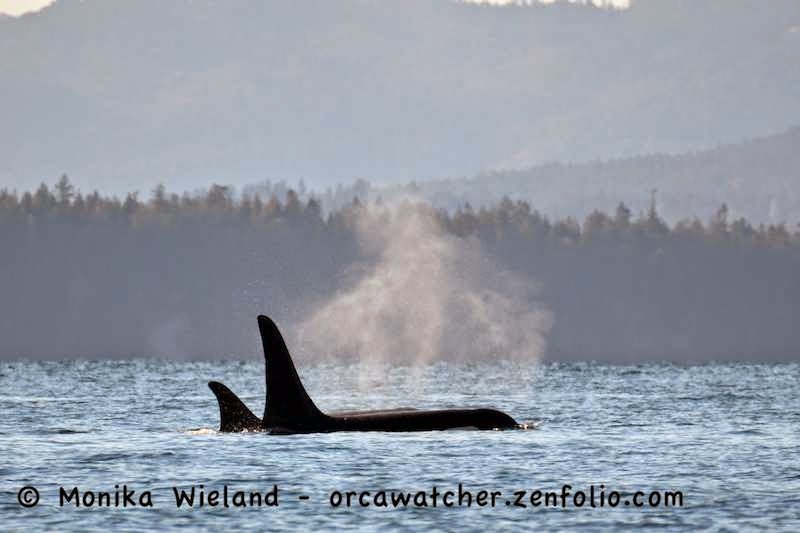 We didn't know it at the time, but nearby the Center for Whale Research was getting their first looks at a brand new baby: J50 was born to J16 Slick sometime in the last couple days! Check out their website at the link above to see some awesome photos of the new calf. 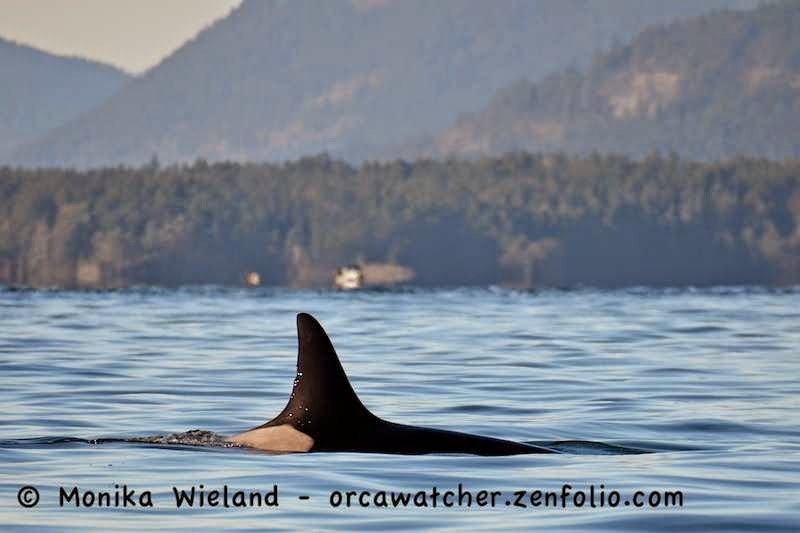 After a very difficult year for the Southern Residents in which their numbers dipped to 77 and no successful births for over two years, I can't help but hope that J50 is a good omen going into 2015. Slick has certainly been a prolific mama as this is her sixth known calf. She's tied for the oldest documented mother at age 42. 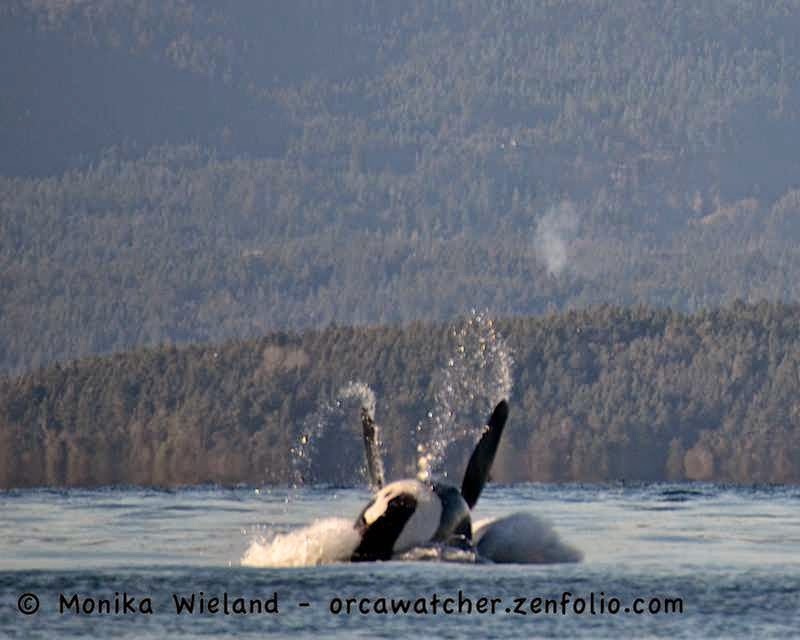 Her other living offspring are J26 Mike, J36 Alki, and J42 Echo. 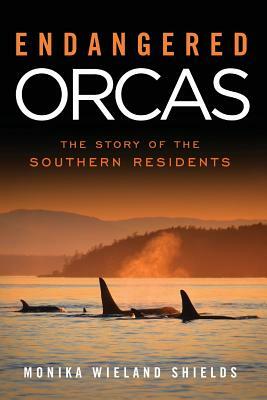 Thank you all for continuing to follow my whale and wildlife adventures, and I'm sure there will be plenty more in store for 2015! I think Dad needs a handicap! Looking forward to seeing where Blackberry gets too, data tracking of our 'Northern Phalaropes found them in the 'wrong' ocean at the Galapagos islands for the winter! Information almost impossible to know without a tracker.